The Maremani Nature Reserve forms an integral part of a much more extensive society and accepts that it has an obligation to contribute towards the prosperity of its surrounding communities. The Foundation has always believed that the more people know about nature, the better they understand it and the more willing they are to help protect it. Now that much of the essential groundwork concerning the nature reserve has been completed, the Foundation is shifting its focus to the area of environmental education. There is an outreach programme open to all neighbouring schools, focusing especially on less fortunate communities in which facilities and tutors are provided by the Foundation. 2-3 times per week school outings are arranged where the students and their teachers are picked up by bus and taken on a field trip guided by one of Maremani’s experienced employees. The trips include a visit to a lodge where the children have a meal and play in the swimming pool. Through these trips many children get the opportunity to meet the large animals for the first time and express their enthusiasm as they learn about the biodiversity of the savannah. 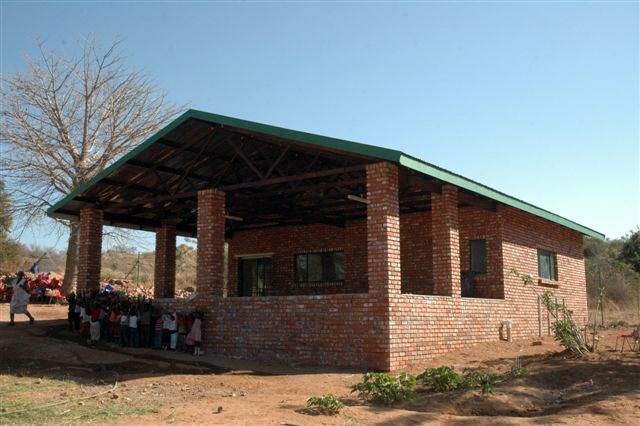 Furthermore, a nature information centre has been built in cooperation with the Municipality of Musina. The Aage V Jensen Charity Foundation has made very considerable contributions to the MNR’s surrounding schools. This includes building new classrooms, new kitchens and toilets, and a new kindergarden, as well as providing books and computers.